Behind the Screens: Where's Pugsy? A company’s people are truly their best differentiating factor. They define who you are, what people can expect from you, and form the culture that shapes your future – and that deserves celebration! Our series “Behind the Screens” shares a personal look at who comprises the incredible talent that makes things happen at Worldwide101. Pugsy began trotting the globe to visit our team members in October 2017, and his mission was an important one: to unite Worldwide101’s people (located all across the world), create a physical connectedness, and, at the same time, bring some serious positivity and good cheer. It’s not an easy job to build a solid and well distinguished company culture with a fully remote team, but Pugsy helps achieve just that. 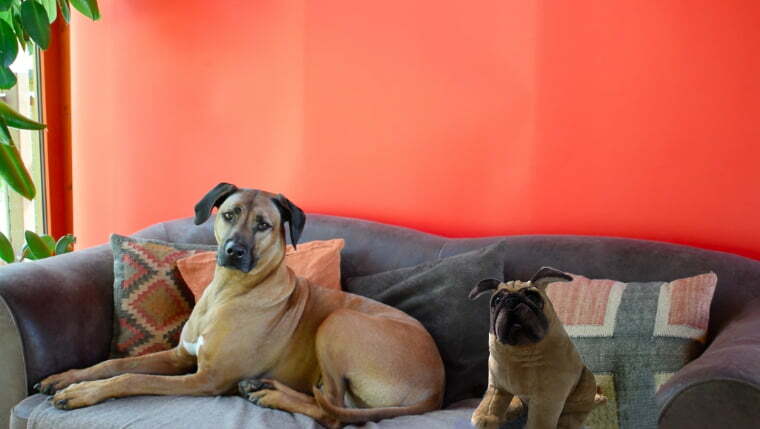 Pugsy was handpicked for the job by our Chief of Happiness, Simha The Ridgeback, who thought it might be easier to have an ambassador traveling on his behalf while he keeps things cheery at Worldwide101 HQ. Here’s how Pugsy’s visits work: Each month, a new Worldwide101 team member hosts Pugsy for a few weeks. 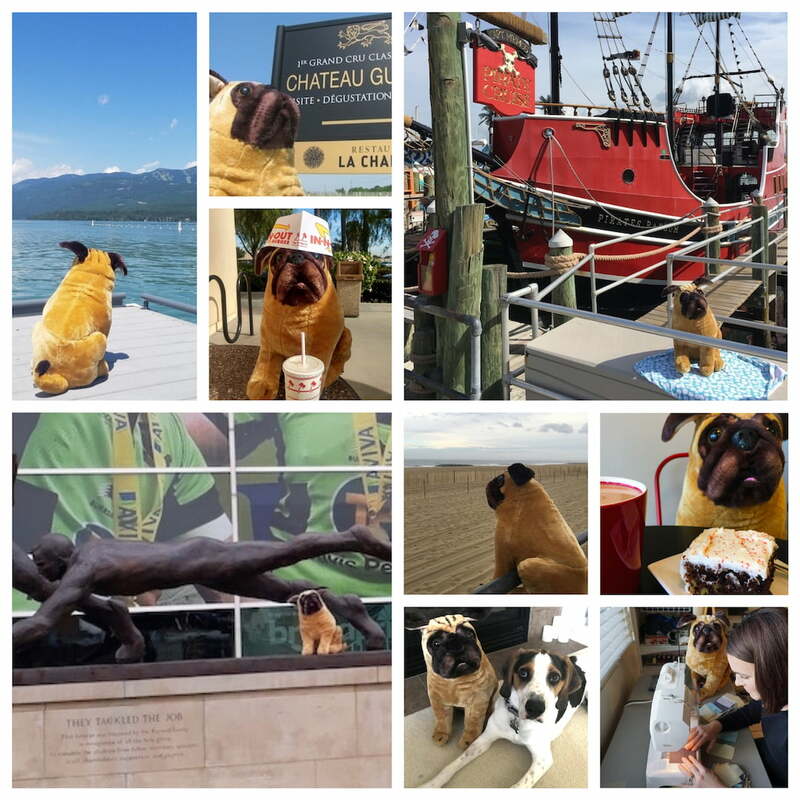 They take Pugsy to unique parts of their hometown, and share photos of his visits in a post on our intranet titled Yours Virtually. The host also shares a little about themselves and their background, some of their favorite things and people, offers their remote work tips, and maybe even a favorite recipe or book recommendation – personal insights to help us all get to know them a little better outside the confines of traditional work conversation. In the days after the post goes live, the rest of the team can comment on the post and share their guesses on Pugsy’s location. Correct guesses are entered in a drawing announced later in the month, and the winner gets a fun prize in the mail. Our company has been completely remote from day one, and we’ve never contemplated moving in-office. While the cost-saving and productivity-enhancing benefits of remote and flexible work are substantial, we’ve discovered that there are a host of unforeseen benefits as well, from accessing top talent no matter their location to helping the environment through fewer commuters. Better and more innovative communication is also a plus, and Pugsy is an example of how teams can come together for more than just meetings or around an office watercooler. Premium brand-building is for people who view connecting with others and creating joy as the ultimate strategy for growth. When you deliver special, personalized experiences through a passionate team, you build strong, loyal relationships. If you do it exceedingly well, those relationships endure, and customers tell everyone they know exactly how happy you’ve made them. An important piece to creating those enduring customer relationships is to retain our talented team. Part of how we do that is to make sure we are having fun. A joyful workplace, even a virtual one, is a place where people want to stay and do great work. Thankfully, Pugsy’s happy to do his part to spread some joy for the team. 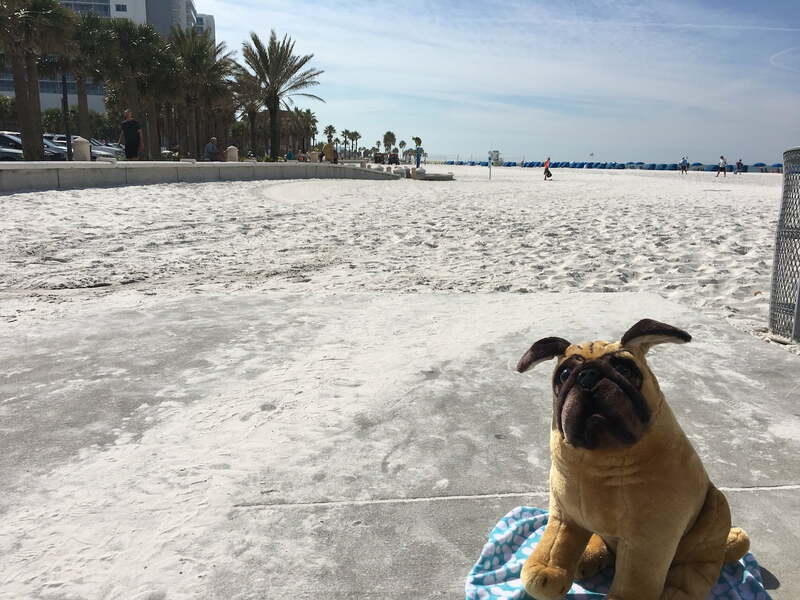 Since he set out, Pugsy has traveled more than 23,000 miles to visit our team. He’s experienced the iconic boardwalk in Asbury Park, New Jersey; kept an eye out for pirates in Florida; visited the state capitol in Sacramento; been wine tasting in Oregon and France; enjoyed the mountains in Colorado and Montana; enjoyed an In N Out burger in Southern California; and cheered on the local rugby squad in Northampton, England. He’s met our team’s families, shared their hobbies and local culture, celebrated holidays, and helped pull us together through many common threads. And while he’s a pug of few words, we know he’s glad to be a key part of our company culture.